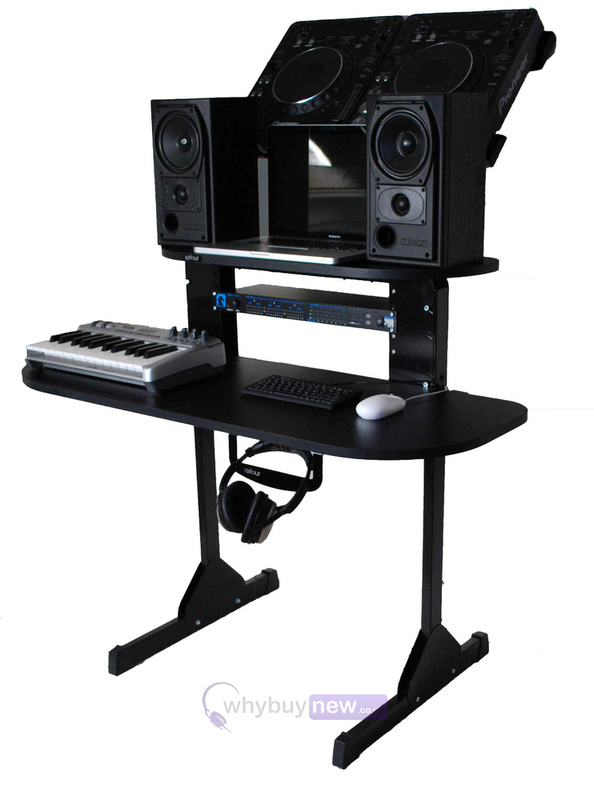 The Sefour X15 Studio Console, Black is simple and clean in design and packed with innovative and useful features. 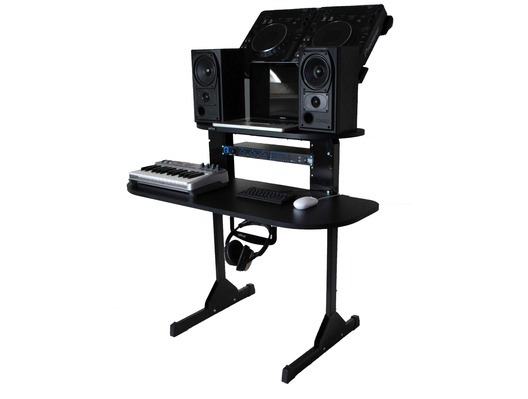 It has height-adjustable shelves and the main workspace shelf slides in and out allowing the user to adjust the distance between the main workspace and the speakers. It has an integrated 3u rack for your crucial pieces of hardware and the top shelf is perfect for monitor screens and speakers. 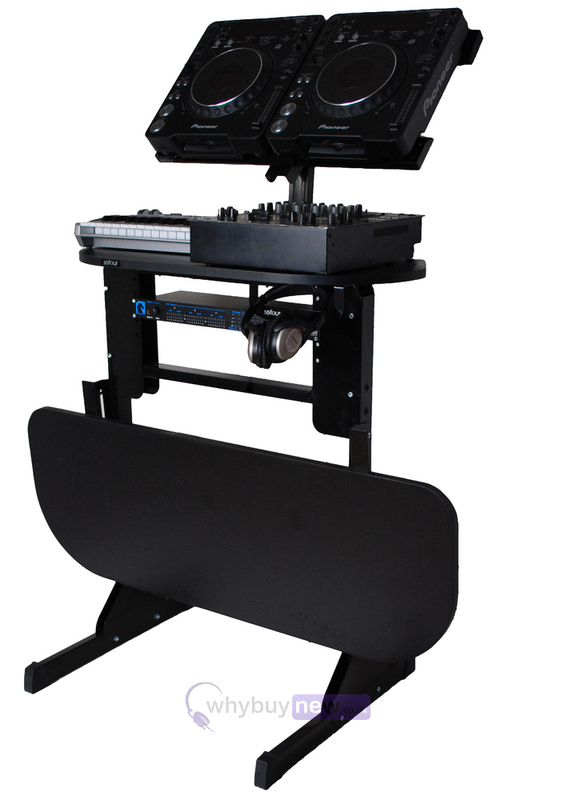 The Sefour X15 also features quick release legs and shelf, making it the last word in portability. Please Note: CDJ (Dual CD Player) bracket and headphone holder are optional and do not come with this stand.